Have you ever wondered how much you’ve spent at Amazon during your lifetime? Whether you’re feeling curious or just plain brave, there’s an easy way to find out. UPDATE: Unfortunately, some people are reporting they can only access information dating back to 2006. 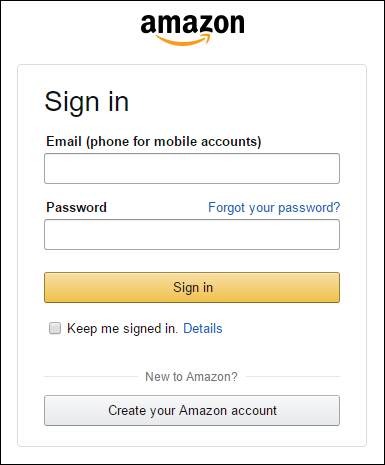 If you have an Amazon account older than that, you may only be able to retrieve information from then on. 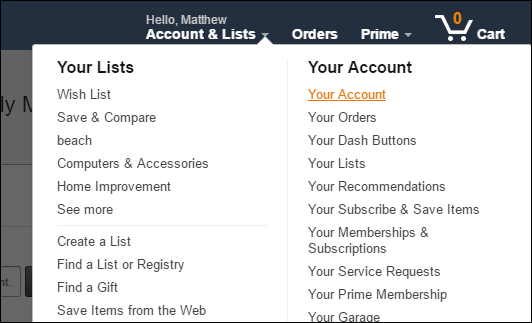 First, open Amazon and if necessary, log into your account. Next, at the top of the homepage, under your name, click “Account & Lists”. From the dropdown options, click “Your Account”. On the next page, under Order History, click “Download Order Reports”. Leave Report Type set to Items. For the start date, choose January 1 and as far back as the year selector goes (the year you began ordering from your account, in our case, 2006). For the end date, click “Use Today”. If you want, you can give your report a name to help distinguish it from others. When you’re ready, click “Request Report”. In addition to your lifetime total, you can see your spending over the previous month, past 30 days, last year, year to date, or any custom date spread. Your order history report will then be processed. Depending how long and extensive it is, this may take a few seconds or a few minutes. When it is done, your report should be downloaded automatically. If nothing happens, click “Refresh List” and then click “Download” under Actions. Your report will arrive as a CSV (Comma Separated Values) file. You need a spreadsheet application like Microsoft Excel or Google Sheets to properly view and tally your purchases. 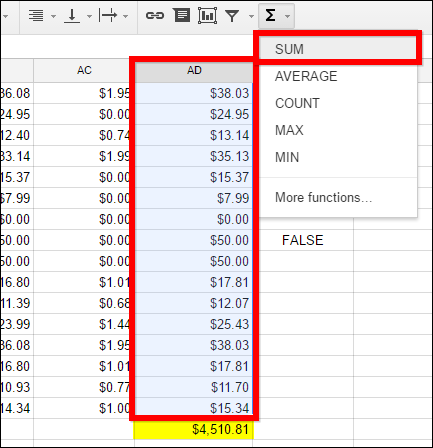 Open the CSV file in Excel and you’ll see that it doesn’t have a total amount—just values for each purchase you’ve ever made (so if you shop a lot on Amazon, you’ll likely have hundreds of rows). Select everything in column AD—the “Item Total” column—which totals all units purchased (plus any tax) for each transaction. 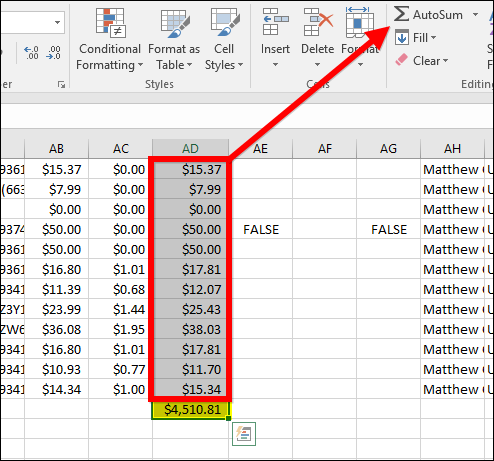 Once you’ve selected all the transaction totals in AD, click “AutoSum” on the Home ribbon. Your grand total will be shown at the bottom of the column. In our case, everything adds up to just over $4500. 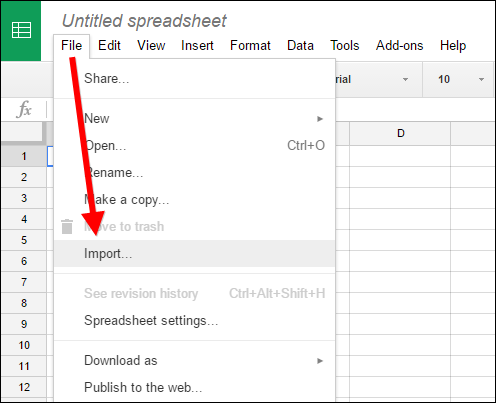 If you don’t have Excel, you can use Google Sheets. 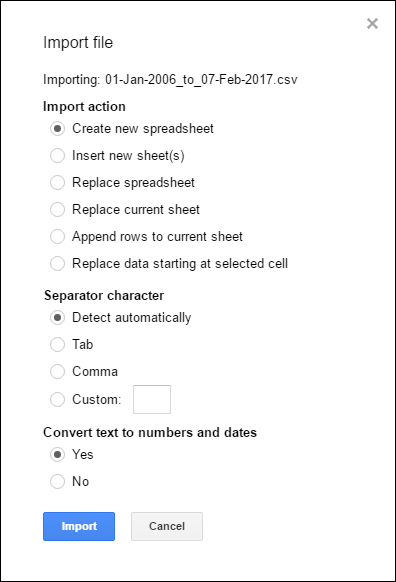 On the Sheets main page, click “Blank” at the top to create a new spreadsheet. Next, click File > Import. 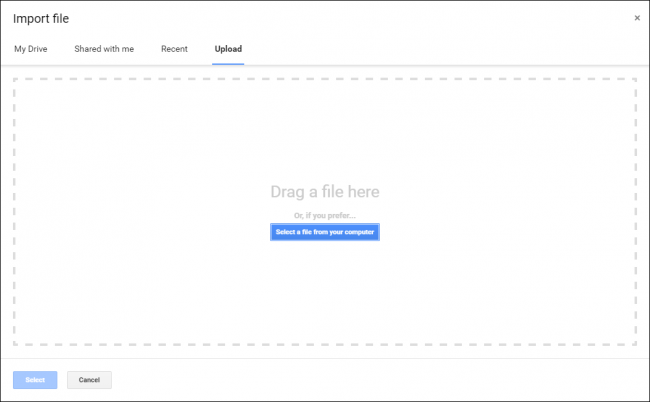 On the Import File screen, click “Upload” and then either browse to and select your CSV file, or drag it onto the Import File screen. On the next screen, you can leave everything as is and click “Import”. Select everything in column AD—the “Item Total” column—which totals all units purchased (plus any tax) for each transaction. With all the transactions in AD selected, click the Functions button in the toolbar and then “SUM” from the resulting dropdown list. Everything in AD will be instantly added together and printed at the bottom of the column. Just like that, you now know how much you’ve spent at Amazon over the course of your lifetime. Hopefully it’s not too much of a shock. Don’t worry, you can comfort yourself by knowing that all those purchases were absolutely necessary at the time…right?